The Base is a contemporary 50,000 sq ft multi-user office building offering serviced office space from 324 to 1,508 sq ft, which is centrally located in Warrington town centre. 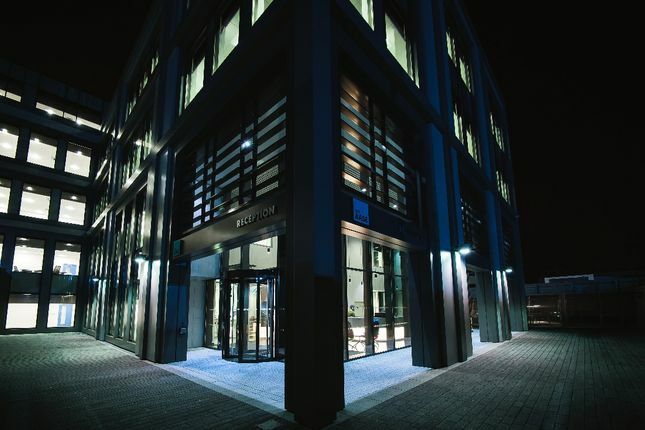 Designed over 5 floors, the building's purpose is to encourage and facilitate the growth of start-ups businesses and SMEs within the advanced manufacturing and engineering sectors. The Base offers the added value of an on-site business support service, which sets it apart from its competitors. Property descriptions and related information displayed on this page, with the exclusion of Running Costs data, are marketing materials provided by The Base, and do not constitute property particulars. Please contact The Base for full details and further information. The Running Costs data displayed on this page are provided by PrimeLocation to give an indication of potential running costs based on various data sources. PrimeLocation does not warrant or accept any responsibility for the accuracy or completeness of the property descriptions, related information or Running Costs data provided here.